The Scripture readings this morning present us with two extremely important truths of our Faith—things which God wants us to know, and understand, and believe. The first is in Saint Paul’s Epistle to the Hebrews, of which we read but a few verses from chapter 9. This is another one of those chapters you might want to go home and read in its entirety. Paul starts out by describing the sacrificial worship conducted by the Old Testament priests, the sons of Aaron (the brother of Moses), in the Temple at Jerusalem. The Temple, you may know, was like a set of boxes, each one smaller and inside the one before. 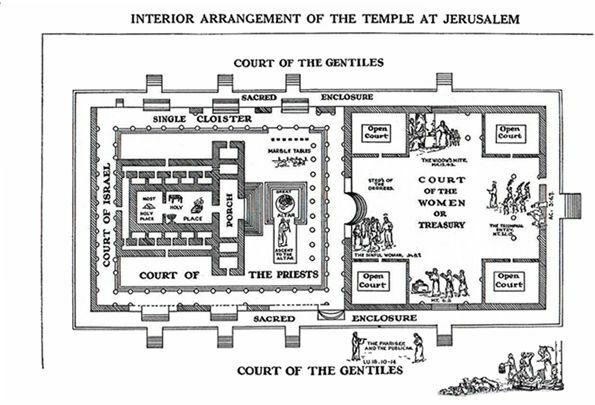 Pretty much anyone was allowed to enter the outer box, Jewish laymen could enter into the next box, then there was one for only the priests, and finally a veiled area at the center called the “Holy of Holies” where God Himself dwelt and which only the high priest could enter, and then only once a year. Outside of the Holy of Holies was an altar on which animals—goats and oxen, and young cows called “heifers”—were sacrificed to God in adoration and for the forgiveness of sins. The animals were valuable to those who offered them, but, of course, they were imperfect offerings to place before the God of the Universe. Those of you who went home last week and read the sixth chapter of Saint John’s Gospel know that our Lord promised to give us His body and blood so that we might have everlasting life. As you take part in the ceremonies of Holy Week you will hear several accounts of the Last Supper, where He gave His true body and true blood sacramentally under the appearances of bread and wine, followed by His sacrifice on the Cross. You will also hear that He made His Apostles priests, with the power to offer His sacramental sacrifice and to forgive the sins of future generations. I urge you to attend as many of the Holy Week Masses as you can, each time pondering the intimate connection between the Altar and the Cross. Today’s Gospel is likewise important, for in it, Jesus acknowledges that He is God, the eternal Son of the Father. The Jews already knew of God’s eternal existence. When Moses asked who it was that was sending him to lead the Jews out of Egypt: “God said to Moses: I AM WHO AM…. Thus shalt thou say to the children of Israel: HE WHO IS, hath sent me to you.” Later, philosophers like Saint Thomas Aquinas, would explain that “God’s essence is existence,” that God is the one necessary existent Being, without Whom nothing else could exist. 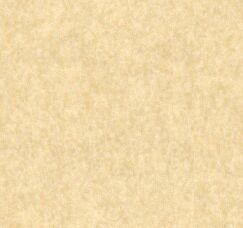 But for the people of Moses’ and Jesus’ time, “I AM WHO AM” was quite sufficient. So, when Jesus, who was not even fifty years old, said: “before Abraham was made, I am,” it was clear to His listeners that He was asserting His divinity. That is why they picked up rocks—because they couldn’t believe this man was God—they would have put Him to death if He had not hidden in the Temple. It is through the joint action of Mary and God that we have our High Priest. Mary’s role in this is critical, for Jesus’ entire physical body came to Him through Mary. It should surprise no one when Catholics refer to her as our “co-redemptorix.” The body and blood of Jesus are essentially the body and blood of Mary. “But Christ, having become an high priest of the good things to come….